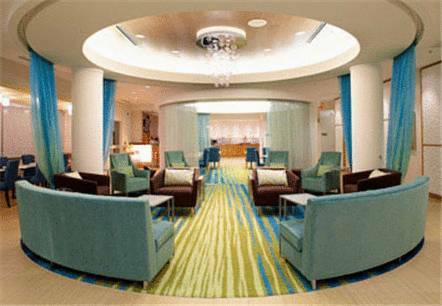 Our Springhill Suites Macon, GA Hotel offers stylish d cor and thoughtful amenities. Located off I-75, just 10 minutes from historic downtown, our hotel is in close proximity to local Universities including Mercer University, Wesleyan College and Macon State College. The best shopping and restaurants can be found at The Shoppes at River Crossing just minutes from our hotel. Find room to roam in our hotel suites which feature separate living, sleeping and working areas with high-speed internet as well as a mini-fridge, microwave oven and coffeemaker. While away from home, unwind in our indoor pool or fitness center. Before heading out for the day, enjoy our hot complimentary continental breakfast. Stay connected at our business center and print station. Whether you're traveling for a short or extended stay, our hotel offers spacious accommodations.